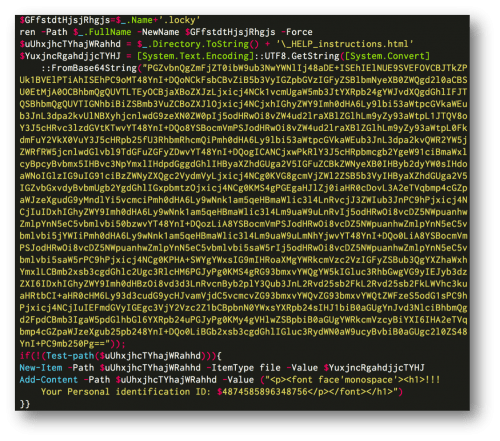 Unit 42 has recently discovered a new variant of PowerWare, also known as PoshCoder, imitating the popular Locky ransomware family. 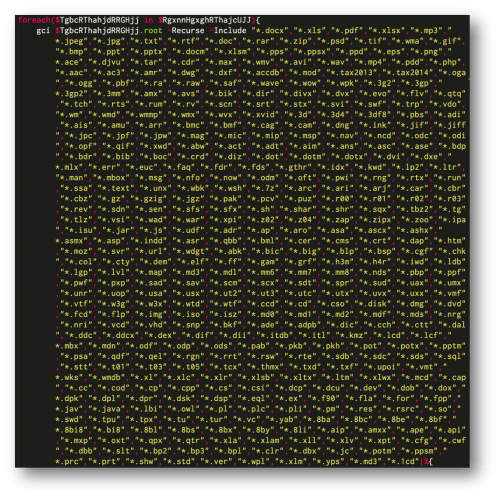 PoshCoder has been encrypting files with PowerShell since 2014, and the new variant named PowerWare was reported in March 2016. The malware is responsible for encrypting files on a victim’s machine and demanding a ransom via the Bitcoin cryptocurrency. In addition to using the ‘.locky’ filename extension on encrypted files, this PowerWare variant also uses the same ransom note as the Locky malware family. This is not the first time PowerWare has imitated other malware families, as earlier versions have been known to use the CryptoWall ransom note. Other instances of ransomware have also been known to borrow code from others, such as the TeslaCrypt ransomware family. Unit 42 has written a Python script that will recursively seek out .locky files on a victim machine and restore them to their original state. The decrypter can be found here. Initial analysis of PowerWare showed that this sample is a .NET executable. After careful inspection of the malware using a .NET decompilation program named dnSpy, we witnessed the word “PowerGUI” from Quest Software. 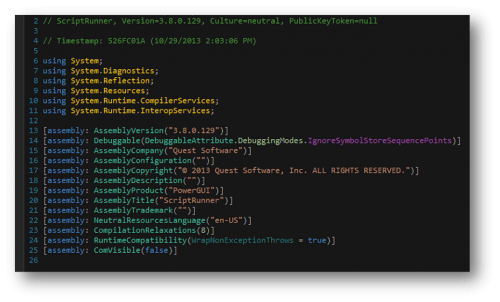 This allowed us to immediately know that the malware was using the PowerShell script editor that converts PowerShell scripts to Microsoft executable files. In reality, this .NET Microsoft Windows executable is only responsible for unpacking an embedded script and running it with PowerShell.exe. The script resides inside a ZIP file, named Scripts.zip. This file is located in the resources section of the file as shown in Figure 3. As the Scripts.zip file is embedded within the malware without any obfuscation, we can easily extract this ZIP file using dnSpy. This in turn allows us to obtain the compressed PowerShell script within. 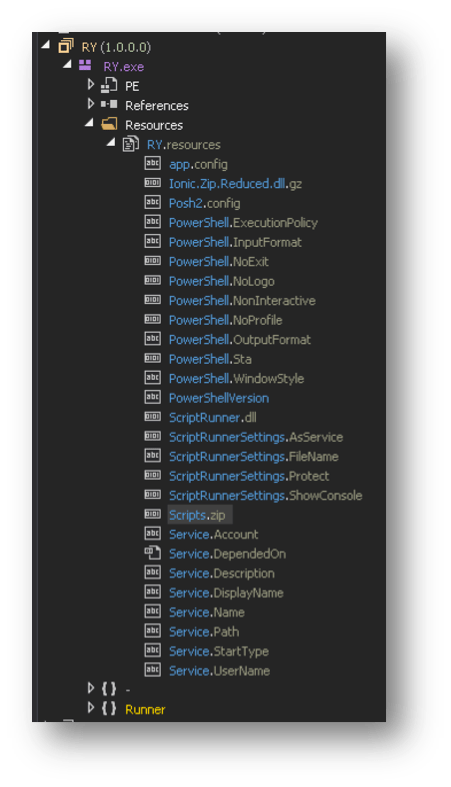 The PowerShell script is very similar to other PoshCoder/PowerWare variants. This sample uses AES-128 encryption with a hard-coded key, which would allow victims to decrypt files without paying, as seen in Figure 4. It doesn’t include a network beacon that tries to transmit randomly generated bytes for the key like some variants have been known to do. The PowerShell script automatically scans the victim’s machine for files with the extensions listed below and then proceeds to encrypt them. PowerWare then appends the .locky extension to the files it encrypts like the infamous Locky malware. It also writes a HTML file with the name ‘_HELP_instructions.html’, which is identical in wording to the Locky ransomware family. This ransom note is dropped into folders containing encrypted files. In the event users wish to pay the ransom, they may navigate to a provided website, such as the one below. The site provides instructions on how Bitcoin may be purchased, and once again we see references to the Locky ransomware family, which this variant is clearly mimicking. As mentioned previously, since the malware uses a static key, decryption of victim’s file is possible. 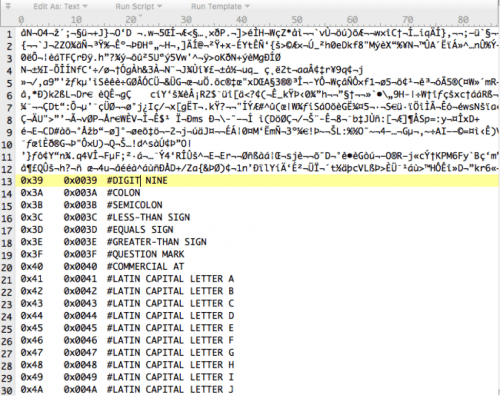 The malware actually only encrypts the first 2048 bytes of the targeted files, as witnessed in Figure 9. 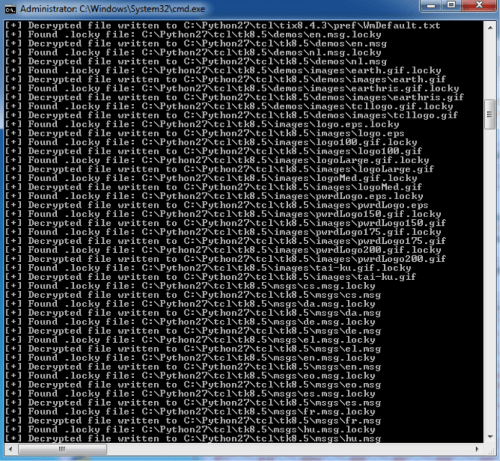 The following screenshot shows an example of the script running on an infected Windows machine. It is our hope that this script will assist victims that have been affected by this variant of PowerWare. While this sample may appear to be new, it is in fact a variant of the previously discovered PowerWare malware family. Unlike other variants, this sample purports to be the Locky malware family. All domains and IP addresses associated with this malware are correctly flagged as malicious. All samples encountered within this campaign are correctly identified as malicious by WildFire. An AutoFocus tag exists for the tracking and identification of this malware family. Network and Information Security Directive Dates Now Set!